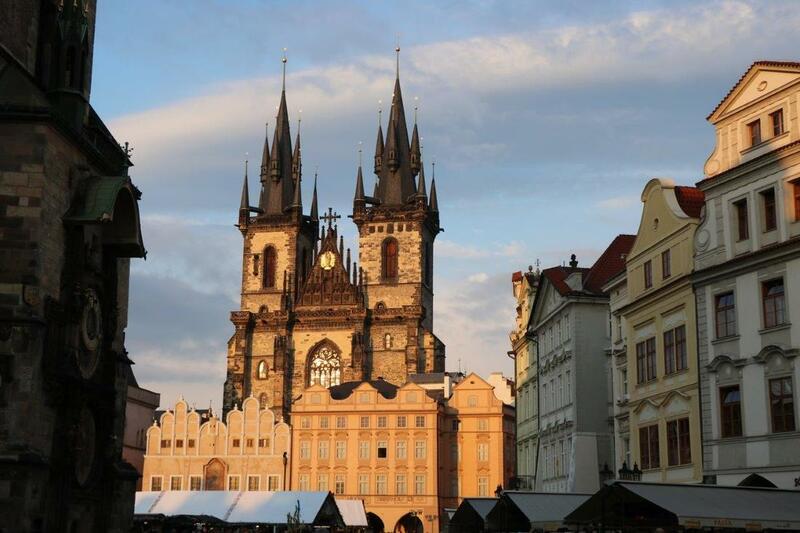 ​There’s much more to the Czech Republic than its bustling capital and I was keen to see what the country had to offer. My early morning flight from Heathrow was made easier by the efficient meet and greet parking organised by Holiday Extras and I was soon on my way to Prague. The early flight meant I had a few hours to look around the capital. 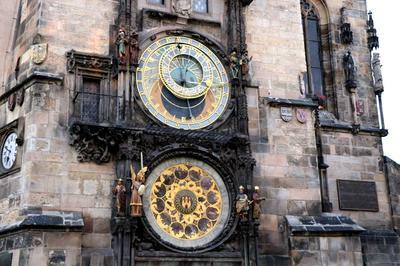 Its centre is easily managed on foot so I was able to see the main tourist attractions such as the Astronomical Clock, Tyn Church, colourful Old Town Square and Charles Bridge, all within a few minutes’ walk of each other. ​However, next morning I headed out of Prague. The busy highways, filled with Czech-made Skodas, soon gave way to deserted country roads and miles of green fields. My first destination was Chateau Jemniste, one of many buildings in the Baroque style that has given the country a rich cultural heritage, largely due to the influential architect Santini. 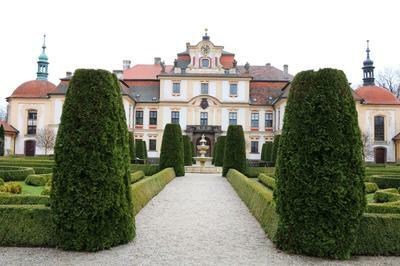 Jemniste boasts a formal front garden, lovely rooms with painted walls and ceilings, and a fine chapel. 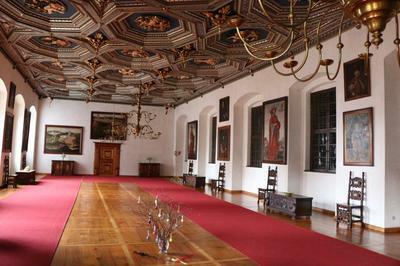 If you want to live like a Count then there are a couple of self-contained suites where visitors can stay. There’s also a great restaurant and tea room that serves amazing puddings for which the country is rightly famous. 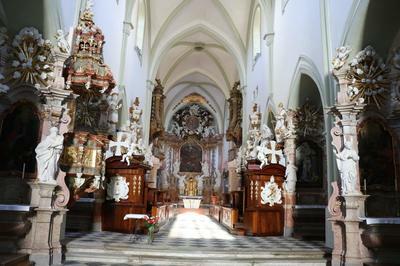 Later in the day I visited Sedlec and Kutna Hora with its restored high-vaulted church and nearby crypt. 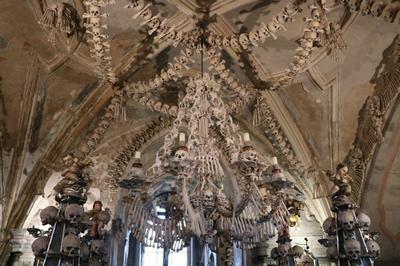 This is not to everyone’s taste as it contains an ossuary with decorations make from the skulls and bones of the victims of plagues and wars. 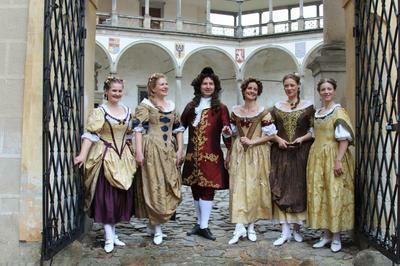 ​On a lighter note, Kutna Hora’s Italian Court was where locally-mined silver was turned into coins from the early 1300s to 1740. 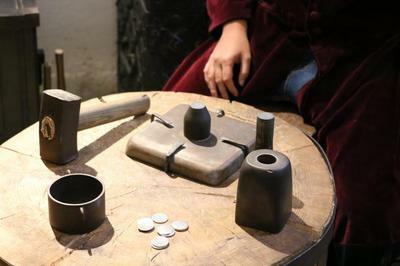 I was given a demonstration of the process and a souvenir coin, sadly only made of aluminium. 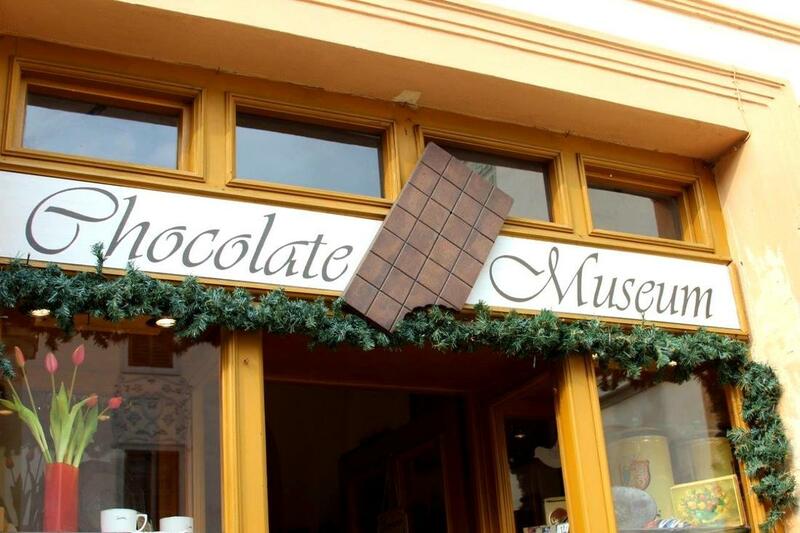 The nearby chocolate museum, surely one of the world’s smallest, contains many items from bygone days. It also treats visitors to samples of the various chocolate types that it currently makes. Go prepared for chocolate heaven. 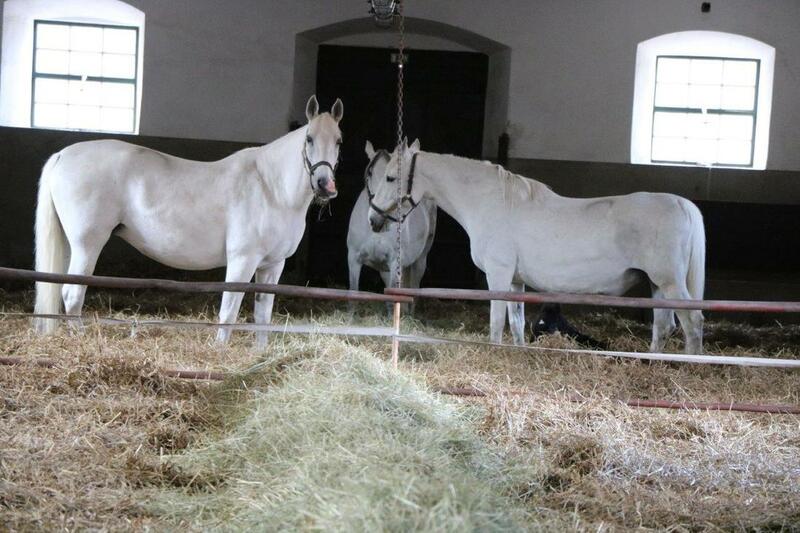 ​After a bright and early start the following morning I visited the Kladruby nad Labem stud, home to the Kladruber Old White, a cousin of the Lippizaner horses used in the Spanish Riding School in Vienna. 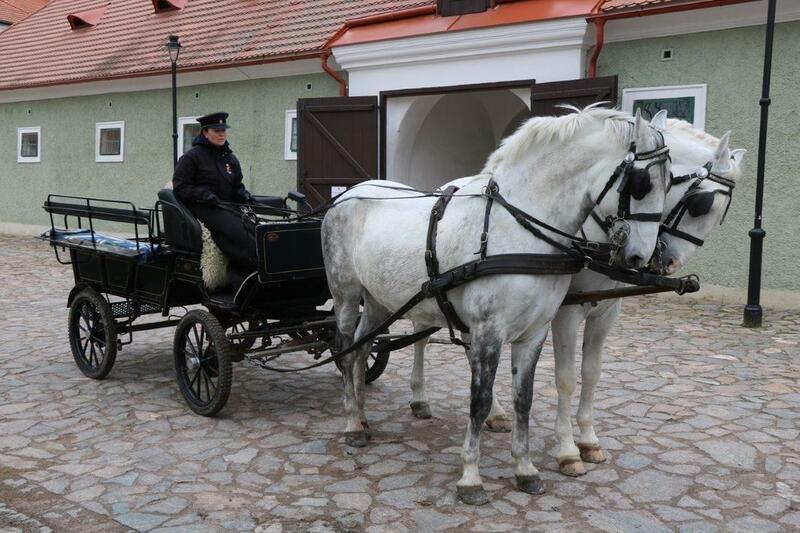 A phone call confirmed the arrival time and two carriages pulled by these lovely animals were harnessed ready to take a group of us on a carriage drive. Apparently once harnessed they don’t like to be kept waiting! We clip clopped through the village and out into the countryside for exhilarating lungs-full of fresh air. The stud is one of the world’s oldest, dating back to the mid 14th century. From 1579–1918 it served the imperial court and its horses are still used for ceremonial occasions. A tour of the stables resulted in much nose rubbing and patting of these lovely animals. 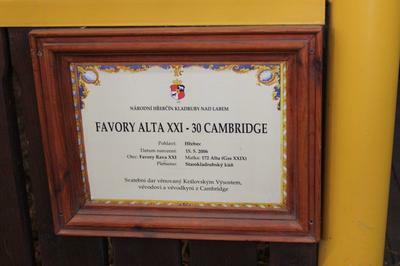 One was offered as a wedding gift to the Duke and Duchess of Cambridge. Unfortunately protocol decreed they could not accept but asked that the Cambridge name be added. 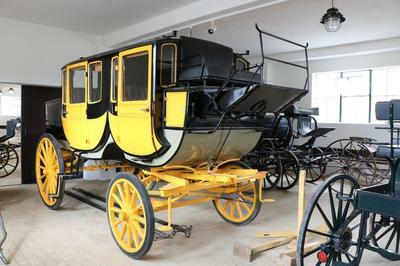 I also visited the carriage room which has a great selection of carriages, some with wheels and others with slides for use in snow. 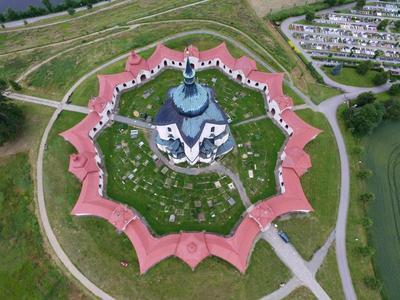 After lunch I moved on to Zdar nad Sázavou, one feature being the nearby hilltop ten-pointed star shaped structure surrounding the five-pointed Pilgrimage Church of St. John of Nepomuk at Zelena Hora, another of Santini’s designs and a UNESCO World Heritage monument. 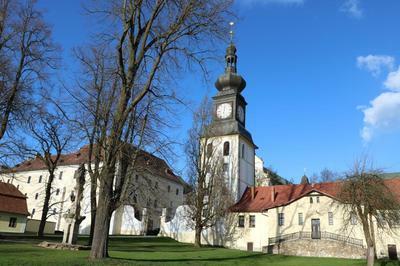 The castle and its grounds which, after wars and communism has now been restored to the Kinsky family, includes a small monastery of just five monks. 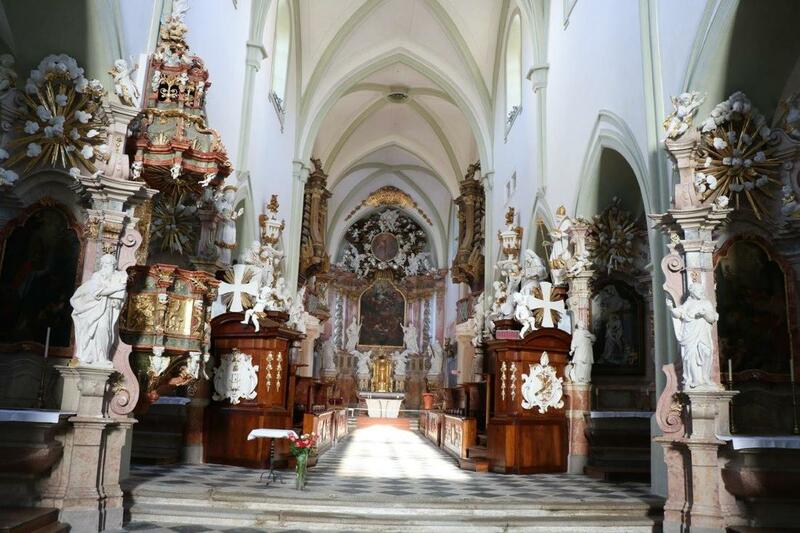 The monastery is relatively plain but the chapel is very ornate. 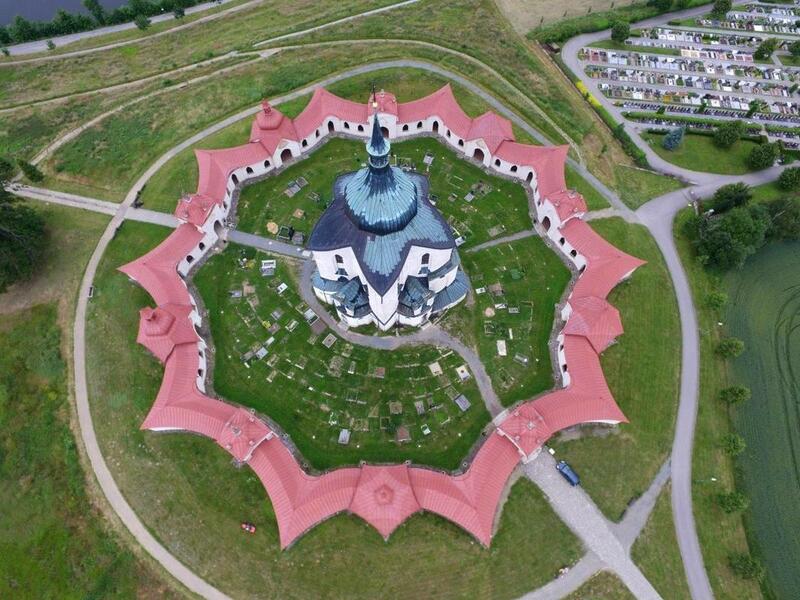 The monastery also has a small brewery, now that’s my type of religion, and I sampled some excellent light and dark beers. The brewery sells bottles of beer to local hotels and restaurants. I was shown round the castle by the current Count Kinsky who is rightly proud of what he has achieved, even though it is still work in progress. The castle is now home to a school where his wife teaches children with special needs, and the impressive Baroque tower includes three bedrooms in which visitors can book accommodation. 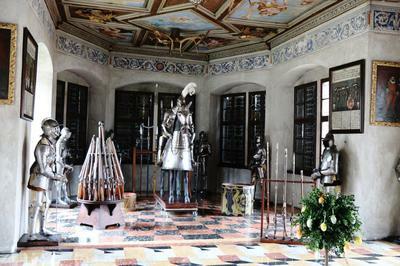 The nearby lake is stocked with trout which supplies many restaurants, and the castle’s halls are used for concerts, weddings and business events. This historic structure is full of life and activity and very much part of the community. 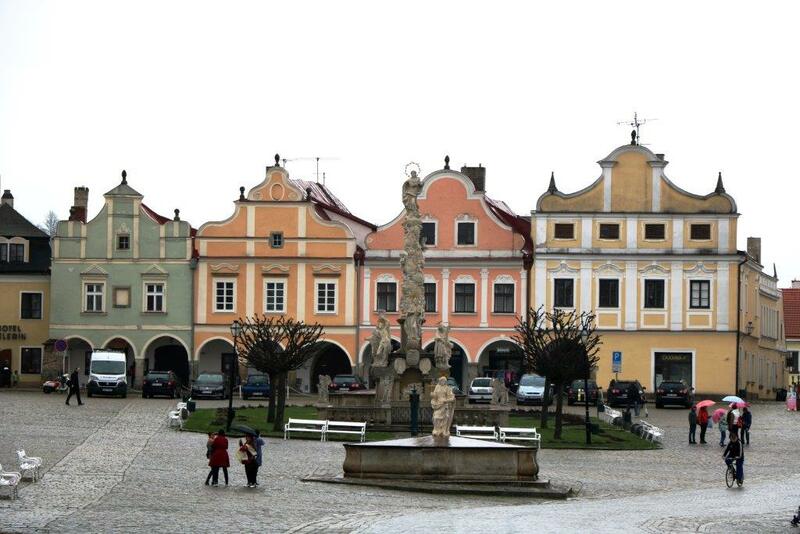 ​My last day was spent in Telc. 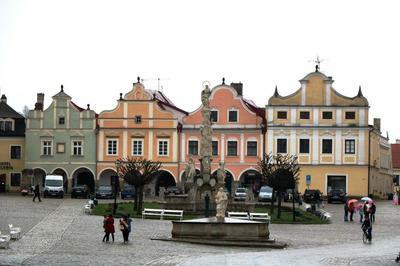 The entire town of 5,500 inhabitants is a lovely UNESCO heritage site with building surrounding the town square painted in various pastel shades. 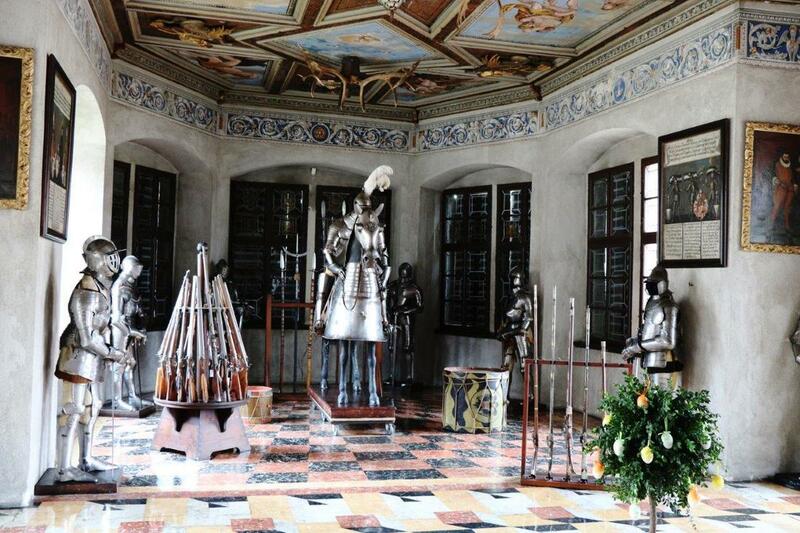 ​Its Chateau contains numerous attractive paintings and furniture as well as an impressive armoury. At the end of the Chateau tour there was a demonstration of Baroque-style dancing by the ladies (and one man) of Alla Danza Brno. At the end of their performance we were all lined up and taught how to perform one of the simpler dances, resulting in much amusement and a few minor collisions. After a final group photograph of the skilled dancers it was time to head back to Prague and the flight home, with memories of just how different the rest of the Czech Republic is from its tourist-thronged capital.